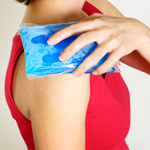 This category includes braces, supports, and therapy products used to treat shoulder injuries. 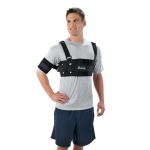 Highland Orthopedic Supply carries products from leading manufacturers such as Breg, DeRoyal, and Medi-Stim. 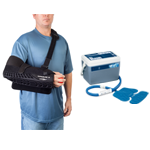 Whether you are searching for a TENS, NMES, temperature therapy unit, or a shoulder stabilizer for a dislocated shoulder or rotator cuff injury, we have a product that suits your needs. 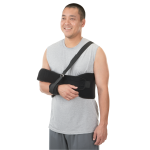 We have conveniently included the HCPCS code for each product on its page for you to use in reimbursement from your insurance company. 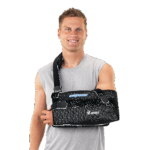 In addition to the code that we supply, you will also need a prescription from your physician in order to receive reimbursement from your insurance company. Need help choosing a product? Call us at 1-800-583-3771. Our specialists will gladly assist.